Intrepid Marble and Granite is a premier importer and distributor of all types of finished decorative natural stone slabs and tiles; ceramic and porcelain tile; glass and metal and stone mosaics. Our facility located at 4000 NW St. Helens Rd. is comprised of a boutique designer tile showroom, a professional trade room, and an indoor slab gallery. This is the ideal starting point for your building or remodeling project. As a wholesale distributor we work with all segments of the construction industry in facilitating a seamless experience with your industry professional. Our qualified staff is pleased to provide design and referral assistance. We look forward to serving you. In 1993, Drew and Leslie Brandt left their “normal jobs” and became entrepreneurs. Drew is a Eugene, Oregon native who spent a lot of his growing up years helping his dad in the construction industry. With a knowledge of tile installation and an appreciation of the beauty of natural stone, he decided to become a distributor. Intrepid Marble and Granite was established in the spare bedroom of their SW Portland fixer upper with a small savings and a big dream. With no outside financing, Drew worked on building relationships with domestic and overseas vendors who took a chance on supplying this new business venture. To make ends meet during the growing pains, Drew worked as a manufacturer’s representative within the industry and Leslie sold real estate. Their flexible hours allowed them each to take turns manning their first small public showroom. Twenty three years, several expansion moves, and four kids later, Intrepid Marble and Granite is honored to be a locally-owned and operated importer and distributor of high quality natural stone tile and slabs at the most competitive price. 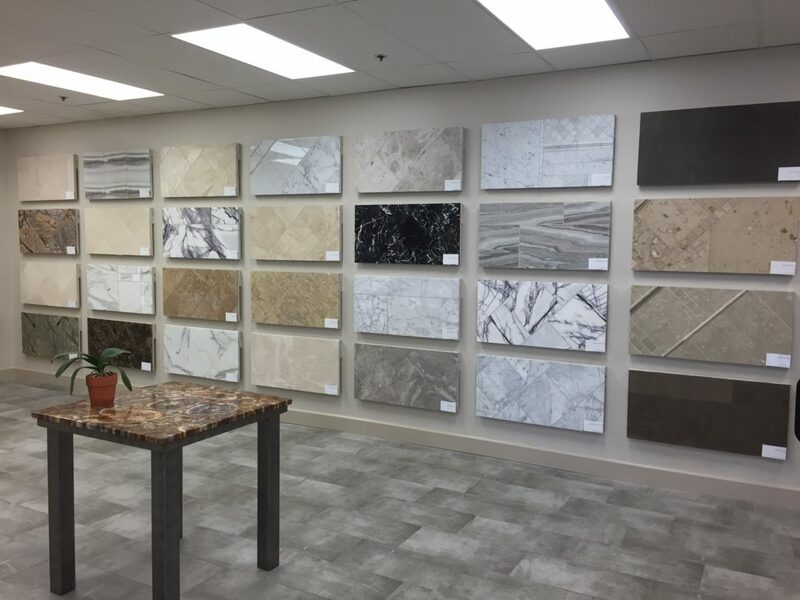 Visit our our facility to see our stunning selection of marble and granite slabs, numerous ceramic and porcelain tile options, plus metal, glass and stone mosaics.